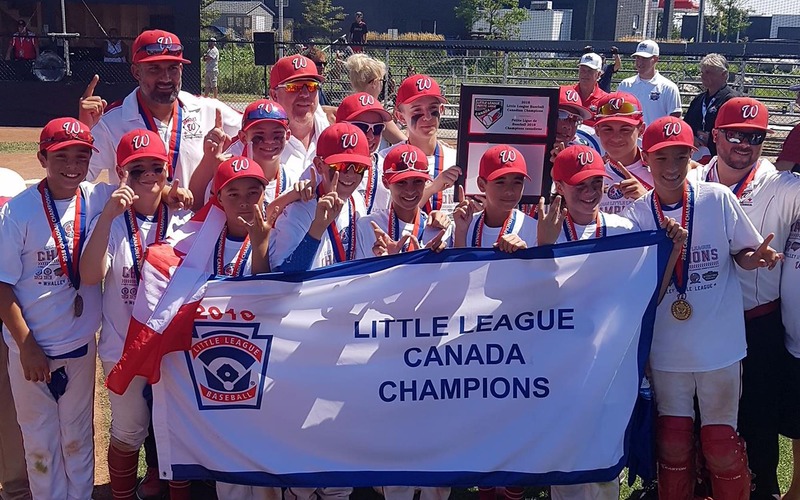 Whalley Little League of Surrey, British Columbia, will be returning to the Little League Baseball® World Series after an impressive 8-0 performance to win the 2018 Little League Baseball Canada Region Tournament. After starting off the tournament with a 5-4 victory over Alberta, Whalley Little League was able to get its offense and defense working together as it went on to win the next seven games, including an 11-0 championship victory to represent Canada in the Little League Baseball World Series. Throughout the course of the tournament, Whally Little League combined for an impressive 67 runs in eight games while posting four shutouts. This will be the sixth time that Whalley Little League earns a trip to Williamsport (1973, 1978, 1997, 2005, 2006) and the 21st time that a team from British Columbia earns the nod, including 13 of the last 14 tournaments. Whalley Little League is also the home to 2017 Little League® Hall of Excellence Recipient, Sydney Leroux, who played baseball for the league from 1995 to 2004 and became the first girl to play for a tournament team in the league. That year, Whalley made it to the Canada Region championship, nearly earning a trip to the Little League Baseball World Series. For the second year in a row, the Little League Baseball Canada Region Championship was broadcasted live across Canada as Little League International, Little League Canada and CBC Sports partnered together to provide fans unprecedented coverage of Canada’s road to Williamsport. Whalley Little League will open the 2018 Little League Baseball World Series with a first-round matchup against Vacamonte Little League (Arraijan, Panama) of the Latin America Region on Friday, August 17 at 6 p.m. in Volunteer Stadium on ESPN. Spanning the course of 10 days, 32 games will be played in the 2018 Little League Baseball World Series in Williamsport, culminating in the Championship Game, which is scheduled for 3 p.m. on Sunday, August 26. For more information on the 2018 Little League Baseball World Series, visit LittleLeague.org.